This is a list of the LEGO Mindstorms Robots and Machines that I have built. Some of them are part of the LEGO proposed models and the rest are my own creations. One fantastic feature of LEGO Mindstorms is the amount of things you can build with one set. Most of the sets are composed of two different parts: the hardware and the software, the robot and the program that makes the robots work. If you want to learn coding for EV3 so you can create your own robots have a look to this tutorial (working on it right now). 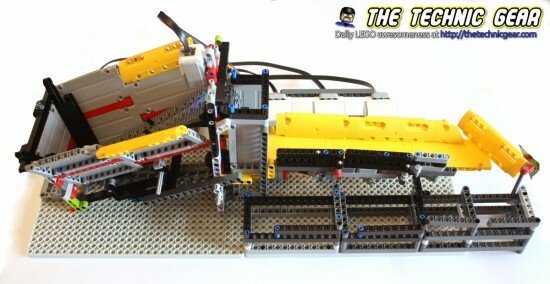 These are robots and machines that I built using Mindstorms and lots of parts from my Technic Collection. In order to improve my skill with EV3 software I coded some classic demos using EV3 Coding app. LEGO suggest you to build several robots so you learn how to build and code yours. Here are the one that I have reviewed. I didn’t build any of these but definitively they are state-of-the-art creations that you should see. I crawl the Internet tireless to find them and add them to this fantastic Youtube playlist for you. Drop me a line if I am missing yours. Subscribe to the Youtube channel so you don’t miss updates. how to make track3r follow you.